And guess what: He didn’t. Two years later, Hillary Clinton, like Schauer, ran a campaign that was heavy on attacking a deeply flawed opponent and light on giving people something to actually vote for. We are living with the consequences. 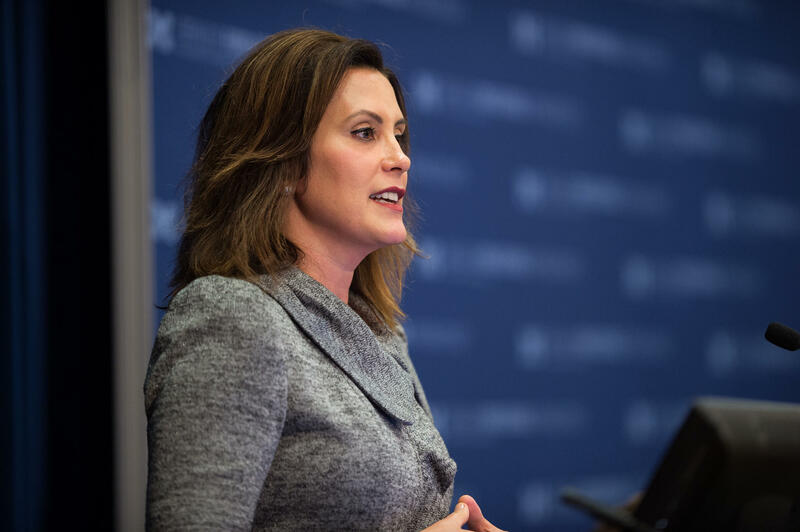 Well, yesterday, Gretchen Whitmer did something that very much impressed me: She unveiled an actual concrete plan to rebuild our infrastructure – not just the roads -- with dollar figures attached. She pledged to ask the legislature to come up with $3 billion dollars and put it in a State Infrastructure Bank, something that already exists, though there’s not much in it. She added, “This is the smartest way to get the most money into our infrastructure and empower communities to start rebuilding.” Her proposal is smart in another way too. It would give local communities the ability to act on their needs, rather than just Big Sister in Lansing. Whitmer, unlike our last two governors, has actually served in the legislature and understands it. She knows very well they will never come up with the money. Even if this turns out to be a Democratic “wave” year and she is swept into office, Republicans will control the state senate, and they wouldn’t raise the revenue to fund needed infrastructure improvements if every bridge in the state collapsed. That means going to the people and selling them on doing it through a bond issue. This will cost us all money, and Whitmer is a politician. She avoids the term “tax increase” in favor of “user fees.” But her plan, called “Get it Done: Rebuild Michigan,” makes it clear that her plan will both cost us money – and be cheaper than doing nothing. Her rivals, both Republicans and Democrats, will immediately begin to attack this plan, which is their right. But I suggest that our first question for her critics should be, “Where is your infrastructure plan?” If they don’t have one, I’m not much interested in listening. I was struck by something buried in an article in the Sunday New York Times that began by noting that students who go to Princeton often marry each other. Elites, in other words, tend to marry elites. George Romney was only governor of Michigan for six years, but he was one of the most important figures in our modern political history. He was the moving force behind our current State constitution. He had the brains to recognize that a modern industrial state needed a state income tax, and the guts to fight to get one enacted.